The Sumatran laughingthrush (Garrulax bicolor), also known as the black-and-white laughingthrush, is a member of the Leiothrichidae family. It is endemic to highland forest on the Indonesian island of Sumatra. It's one of the rare Laughingthrush in the world. The Sumatran Laughingthrush is a passerine classified as Endangered in the IUCN Red List. 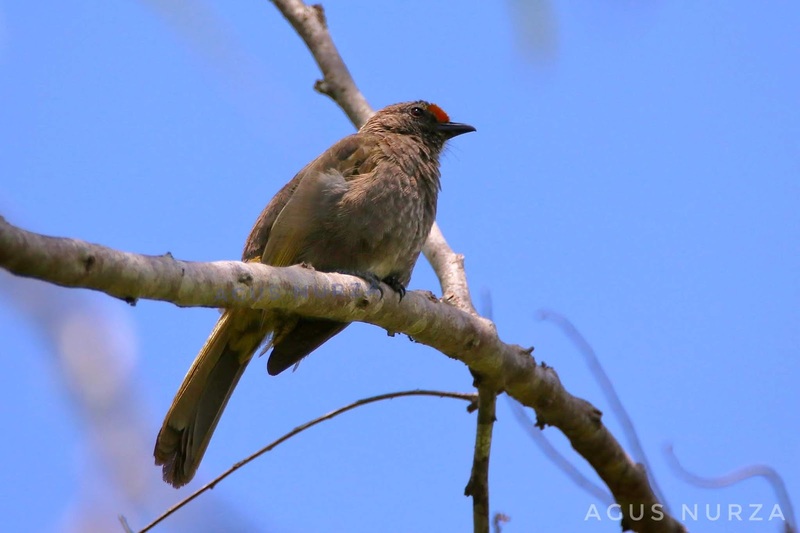 Aceh Bulbul, one of the rare bulbul in the world! The Aceh Bulbul is restricted to a narrow altitudinal range in montane forest on Sumatra and no where else in the world. 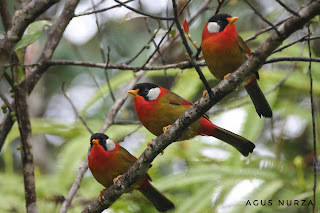 Aceh Bulbul is endemic of North Sumatra. 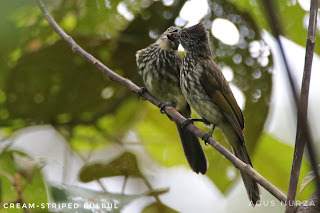 Aceh Bulbul is a serious problem with populations now on a very low density in many parts of Sumatra. It's classified as Vulnerable in the IUCN Red List. 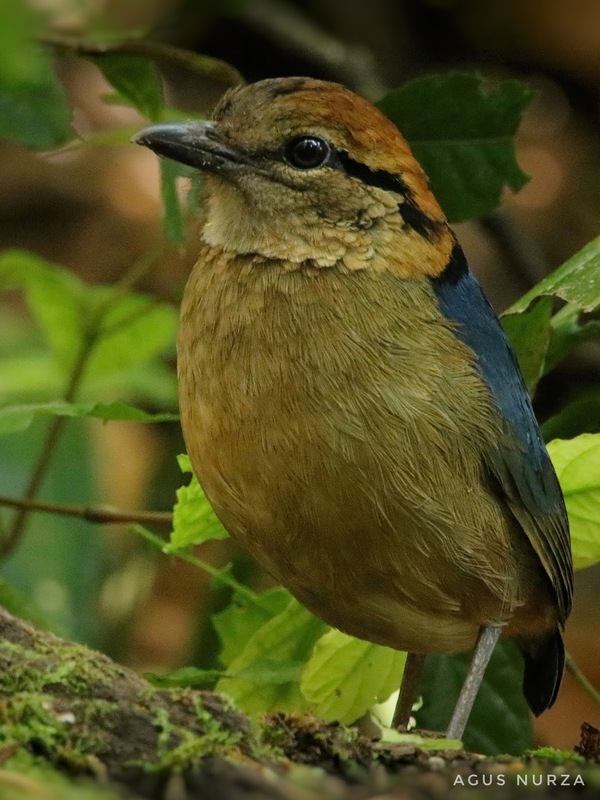 Schneider’s Pitta (Pitta schneideri). This enigmatic ground-dweller is classified as Vulnerable because it is precautionarily judged to have a small population, which is likely to be declining as a result of on-going habitat loss and degradation. 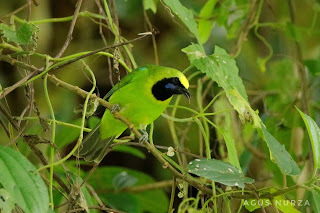 Pitta schneideri is endemic to the island of Sumatra, Indonesia. "Amazingly, this rare and hard to find". One of the rare Pheasant in the world! It's restricted to a narrow altitudinal range in montane forest on Sumatra and nowhere else in the world. An Indonesian endemic, this little-known pheasant inhabits to mid-mountain forests of Gunung Leuser National Park in Aceh province. It's classified as Near Threatened in the IUCN Red List. 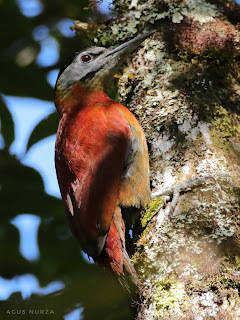 It's one of the rare woodpecker in the world! P. dedemi is endemic to Sumatra, Indonesia, where it occurs in forest and woodland habitats in montane areas. This newly-split species is listed as Near Threatened on the basis that it is suspected to be in moderately rapid population decline (approaching 30% over three generations) owing to on-going habitat loss and degradation. 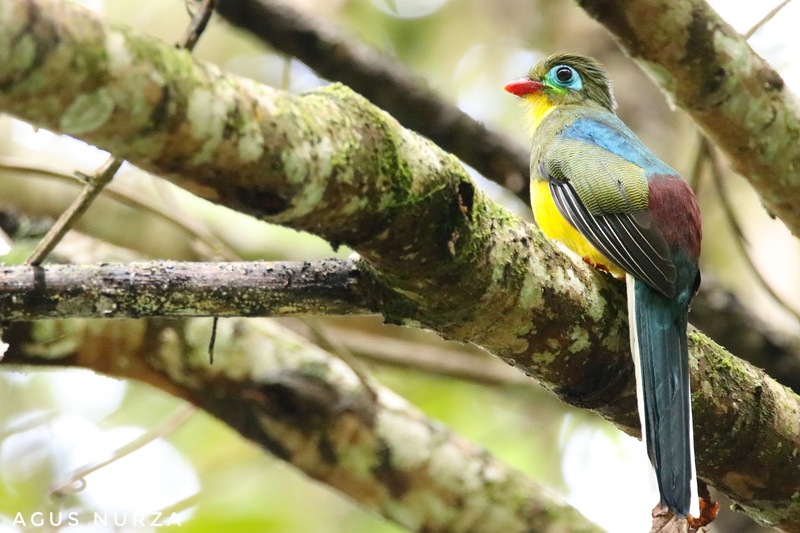 The rate of decline is not thought to be more rapid because the species shows some tolerance of habitat modification and fragmentation, and occurs in montane areas. This species is endemic to Sumatra. This species occurs in the middle and upper strata of lowland evergreen forest, secondary forest, planatations and village orchards from 600-1000 m. It's classified as Vulnerable in the IUCN Red List. 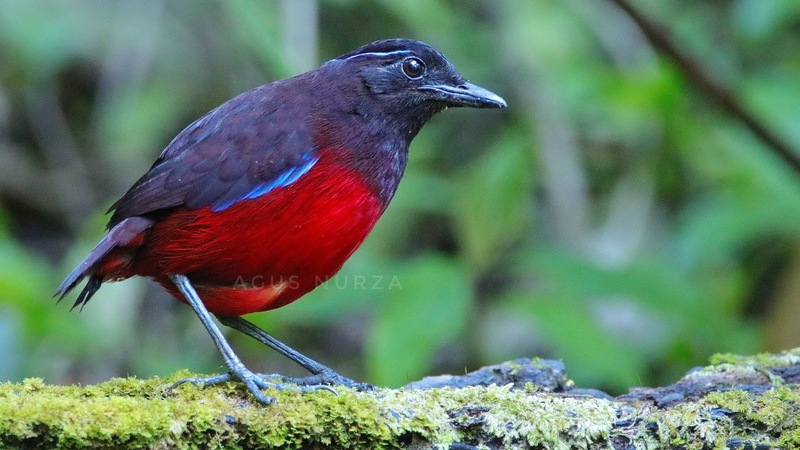 Sumatran Mesia (Leiothrix rookmakeri) Highlands of nw Sumatra (Aceh District) the rarest Mesia. The species is sometimes placed in its own genus Mesia, or in the genus Leiothrix with the red-billed leiothrix. 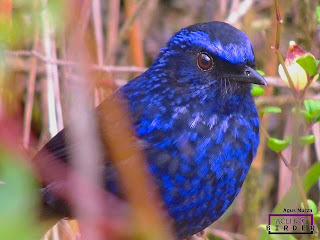 There are seven described subspecies, with considerable variation in plumage between them. M argentauris rookmakeri (Junge, 1948) – Northern Sumatra. It's classified as Endangered in the IUCN Red List. Roll’s Hill Partridge or Tan-breasted Partridge (Arborophila rolli) is species endemic to northwest Sumatra. 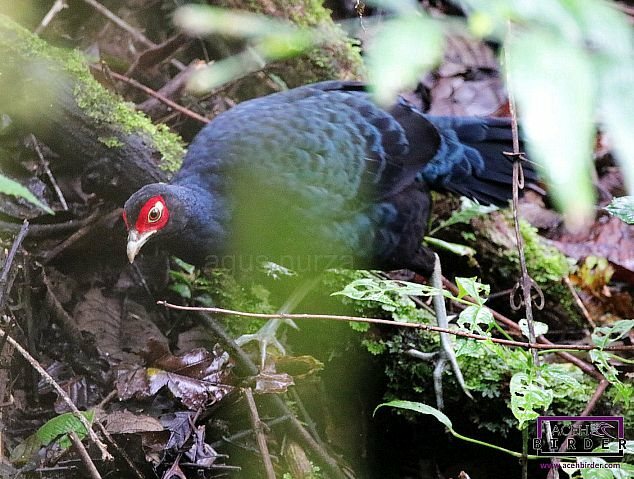 Split from Grey-breasted Partridge Arborophila orientalis and Sumatran Hill Partridge. This species is restricted to mountainous areas in northern and central Sumatra, Indonesia. The red-billed partridge (Arborophila rubrirostris) is a species of bird in the Phasianidae family. It is endemic to highland forests in Sumatra, Indonesia. It is the only member of the genus Arborophila where the bill is completely red. Sumatran Frogmouth (Batrachostomus poliolophus) is endemic to Sumatra, Indonesia, where it is known from a small number of records from the Barisan range, but is presumably greatly under-recorded because it is nocturnal. It's classified as Near Threatened in the IUCN Red List. 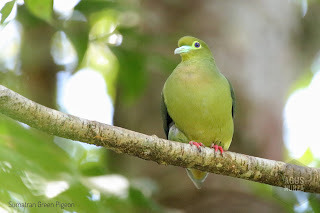 The Sumatran green pigeon (Treron oxyurus) is a species of bird in the Columbidae family. It is endemic to Indonesia, where it occurs in Sumatra and western Java. Its natural habitats are subtropical or tropical moist lowland forests and subtropical or tropical moist montane forests. It is threatened by habitat loss. It's classified as Near Threatened in the IUCN Red List. It is endemic to Sumatra. Its natural habitat is subtropical or tropical moist montane forest. This species is found on the floor and in the understorey of lower montane oak-laurel forest at 1,200-2,850 m. It is possible that the very few records result from low observer coverage within the altitudinal range of the species, rather than genuine rarity. The Sumatran babbler (Pellorneum buettikoferi). It is endemic to Indonesia. Its natural habitats are subtropical or tropical moist lowland forests and subtropical or tropical moist montane forests. It is threatened by habitat loss. The Sumatran treepie or Sunda treepie (Dendrocitta occipitalis) is a species of bird in the Corvidae family. It is endemic to the island of Sumatra in Indonesia. Its natural habitats are subtropical or tropical moist lowland forests and subtropical or tropical moist montane forests. The cream-striped bulbul (Pycnonotus leucogrammicus) is a species of songbird in the Pycnonotidae family. It is endemic to Sumatra Indonesia. the species is described as fairly common in mid-elevation forests, although generally uncommon in north Sumatra (del Hoyo et al. 2005). Its natural habitats are subtropical or tropical moist lowland forests and subtropical or tropical moist montane forests. 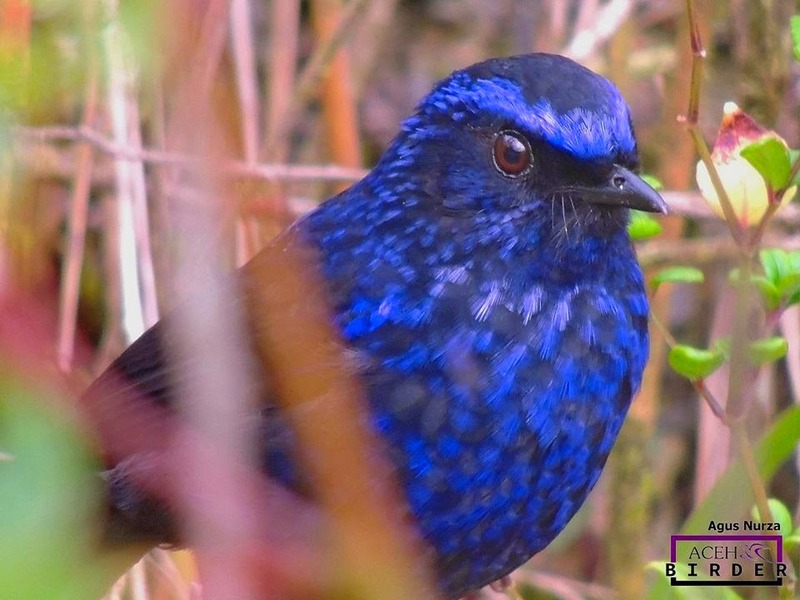 The brown-winged whistling thrush, also known as the Sumatran whistling thrush or chestnut-winged whistling thrush (Myophonus castaneus) is endemic to the island of Sumatra in Indonesia where it occurs in the foothills and mountains. 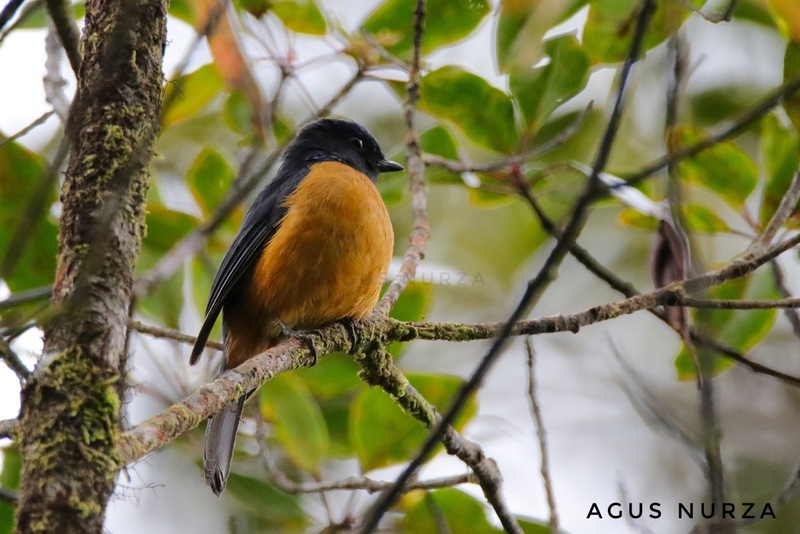 This species is scarce within mid-altitude forest, a habitat that is declining in extent and quality within the species’s range. Sumatran Bulbul (Ixos sumatranus). it's medium-large, slender, streaky bulbul, elongated crown feathering forming small crest. Sumatran Flowerpecker is monotypic species endemic to the mountains of Sumatra, Indonesia. "Sumatran" Owlet (Glaucidium b. sylvaticum) or Sunda owlet is a species of owl in the family Strigidae. The Rufous-vented niltava (Niltava sumatrana) is a species of bird in the family Muscicapidae. It is found in Sumatra and the Malay Peninsula. Its natural habitat is subtropical or tropical moist montane forests. Niltava sumatrana Salvadori, 1879, Singgalang, Padang Highlands, west Sumatra. Distribution: Peninsular Malaysia (Cameron Highlands) and W Sumatra (Barisan Range). 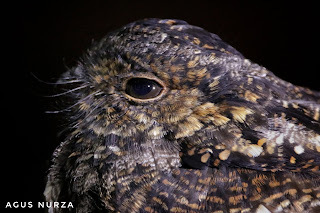 Salvadori's nightjar (Caprimulgus pulchellus) is a species of nightjar in the family Caprimulgidae. It is endemic to Indonesia, where it is found in Sumatra and Java. The Ruby-throated bulbul (Pycnonotus dispar) is a member of the bulbul family of passerine birds. It is found on Sumatra, Java, and Bali. This is a bird of forest and dense scrub.